It’s tough out there right now for investors. We know that markets will recover, but you would be forgiven for feeling a trifle negative currently. We are seeing that our client portfolios have currently managed to reduce the full impact of FTSE 100 losses – but is there anything more we can feel positive about? I thought it would be useful to focus on where you are invested. Here are three very short stories I have written for you about some underlying stocks that you may be invested in. If you are invested in our level One, Two, Pro-Ethical Two or Pro-Ethical Three Portfolios – you will hold the Rathbones Ethical Bond fund. This fund has recently refinanced the Coigach (Varuna) Wind Turbine in Scotland. You may have mixed feelings on large wind turbines, but the people of Coigach are benefiting first hand from theirs. In an area of traditionally high unemployment and poor infrastructure, the wind turbine donates all profits above its 5% annual return to the Coigach Community Development Company. The Coigach Development Company will fund affordable housing, local amenities, nature conservation, the creation of employment and better transport links. It is also focusing on redeveloping the communities harbour facilities to support its local fishing fleet. If you are invested in any one of our mainstream portfolios 1-5, you will currently hold the Sarasin Food & Agriculture Fund. The human species now faces a major challenge, to feed an additional 67 million people per year on the planet by 2050 – in a sustainable and ethical way. This means that farming output globally needs to increase by some 70% whilst coping with the effects of climate change. The Sarasin fund has invested into ‘AgTech’ which is a variety of companies designed to use the latest technology to help farmers be more productive. Satellite imaging, Drones and Sensors are used to help identify moisture, temperature, crop disease and pests. State of the art ‘spraying’ methods are allowing farmers to target pests and weeds without covering the whole crop – preventing damage to the environment and possibly ourselves. We think that this fund is a great way of helping to feed the growing global population whilst hopefully making a profit over time. If you invested in our Level One, Three, Pro-Ethical Two or Pro-Ethical Three Portfolio, you will hold the Eden Tree Amity Short Dated Bond fund. This fund invests into the Golden Lane Housing Association which works to offer supported housing to people with learning disabilities. It was first set up by Mencap in 1998 to help tackle the immense challenges that people with a learning disability faced in finding a home. 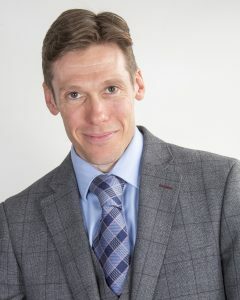 Golden Lane have now invested in more than 880 properties across England, Wales and Northern Ireland. These properties offer (high quality) rented accommodation with 24-hour assistance and maintenance programmes. They work hard to include their tenants in decisions about the properties and they constantly update the properties every five years. Golden Lane are making a positive impact for a section of our society who are extremely vulnerable. All of this costs my portfolio performance, right? Wrong. Companies that make a positive impact on Society or the Environment are proven to be more likely to stick around for the future. There are plenty more examples of investments like the three I have mentioned. They rely on basic income yields and simple businesses to deliver growth potential over time for our clients. We send a ‘good news story’ to each of our Pro-Ethical clients every quarter. We research these stories ourselves and look for positive impacts made on behalf of our clients’ investments. We believe that our clients want to know that their capital is not only growing but also making a difference to Society and the Environment. If you have any questions about this article or your portfolios – please just contact us. We are here for you 100%. Download our short ethical brochure to get a good idea of our approach and offerings. 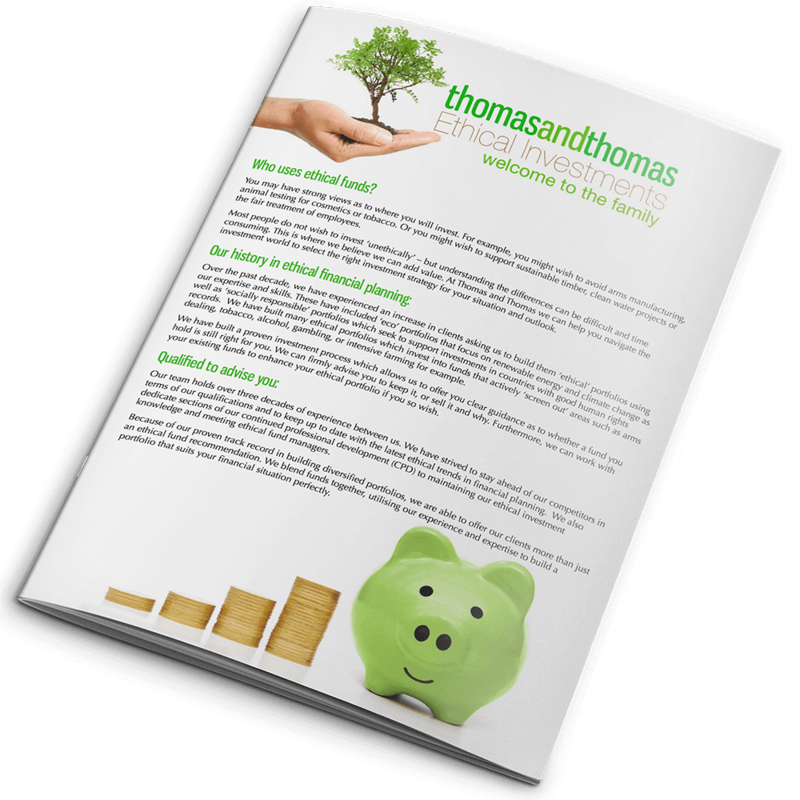 Thomas and Thomas Financial Services Ltd trading as ‘Thomas and Thomas’ is authorised and regulated by the Financial Conduct Authority. FCA No. 479335.